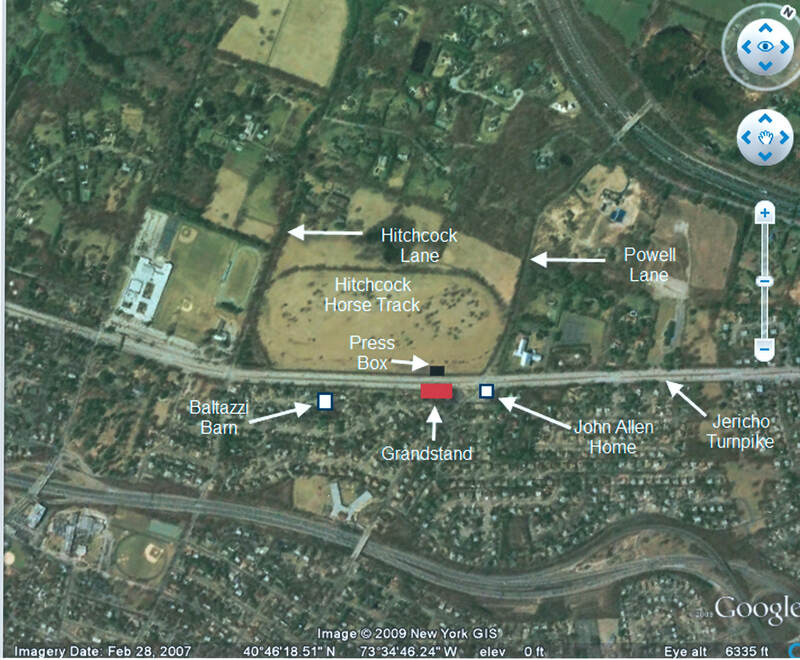 Last Sunday, the locations of the grandstand and officials' stand/press box for the 1904 Vanderbilt Cup Race were documented between Powells Lane and Hitchcock lane on Jericho Turnpike. After moving to Mineola in 1905, the Start/Finish Line returned to its original Westbury location with a larger grandstand and press box for the 1906 race. As seen in this 1906 map, the grandstand and press box were directly in front of Thomas Hitchcock's horse track. Two buildings were key to finding the locations for the 1904 and 1906 grandstands and press boxes; John Allen's house to the east of the grandstand and Baltazzi's large barn to the west of the grandstand. For the 1906 race, John Allen's home on Jericho Turnpike became the headquarters for the Vanderbilt Cup Commission. 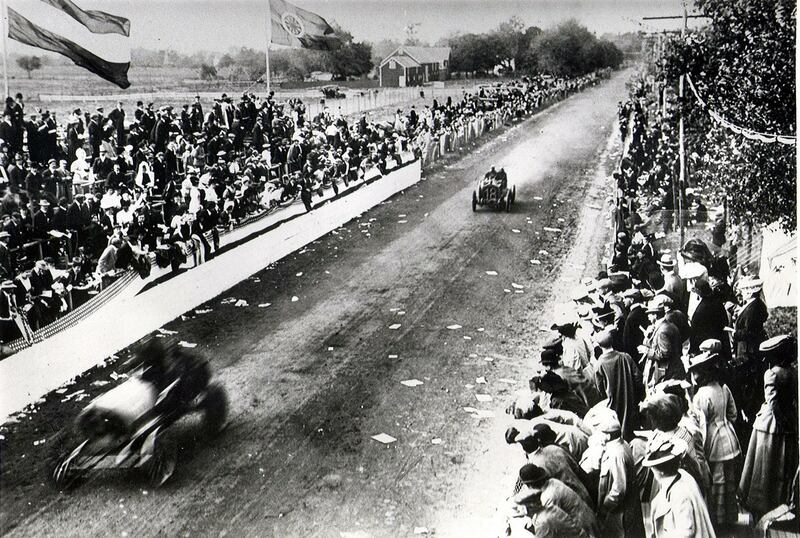 This photo shows Vincenzo Lancia racing down Jericho Turnpike between the grandstand and press box. Notice the cameraman to the left of Lancia's Fiat. His camera captured the grandstand action in this 1906 film. Here, Duray's #18 De Detrich was making a move on Elliot Shepard's Hotchkiss in front of the grandstand. The photo was taken from the roof of the press box near the scoreboard. The view is to the west with the Baltazzi Barn to the left in the background. This is the same view 104 years later looking west down Jericho Turnpike. This amazing photo shows the crowds on the course after the 1906 race was called. It was estimated that 200,000 spectators saw the race around the 28-mile course. Again, the photo was taken from the roof of the press box...this time looking east. 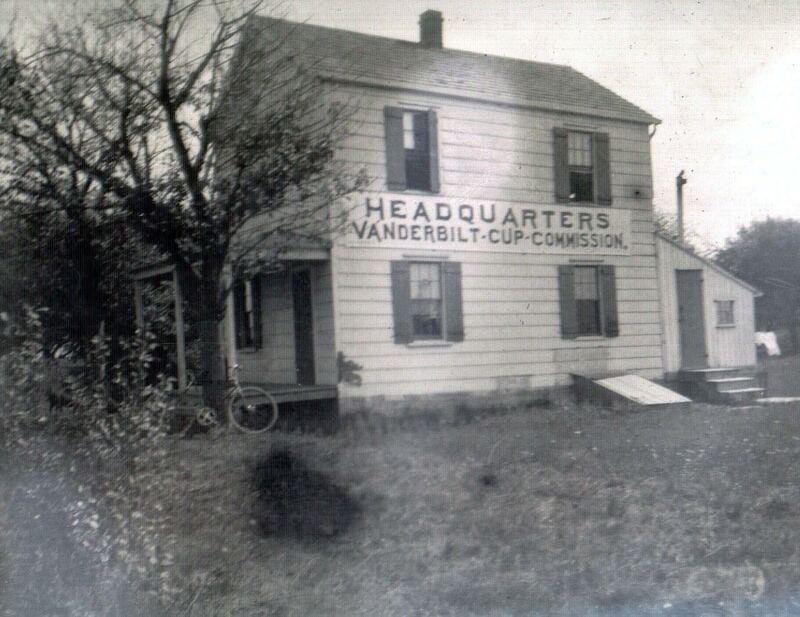 The Vanderbilt Cup Commission Headquarters (John Allen's home) can be seen in the background to the right. This photo was taken yesterday at the site of the grandstand with the same view to the east. The traffic lights are at the Jericho Turnpike intersection with Powells Lane. This Google Earth photo shows the locations of the Westbury grandstand, the press box, John Allen's home and Baltzazzi's barn. 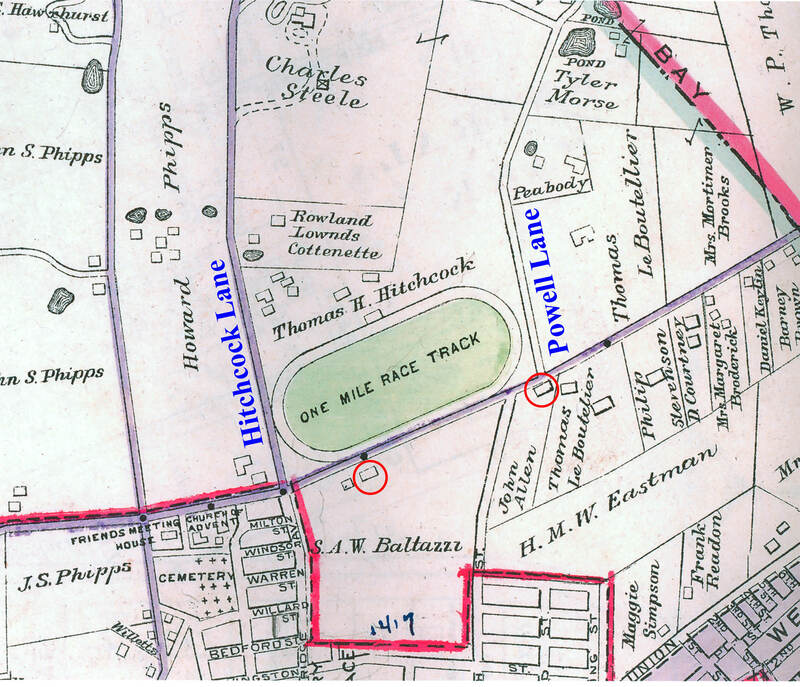 The oval for Thomas Hitchcock's former one-mile horse track is still very visible. This Wikimapia aerial has an even better view. The look of the Hitchcock property has not changed in over 100 years. The history and photos of Hitchcock's Broad Hollow Farm can be found at OldLongIsland.com, a VanderbiltCupRaces.com favorite. In 1992, the 97-acre Hitchcock estate was purchased by the Diocese of Rockville with plans to open the Queen of Peace Cemetery. After battling the Village of Old Westbury for years, the Diocese filed suit against the village, village officials and consultants on November 30, 2009.